Get ready for mountain adventures with this beginner-friendly exercise and training guide for uphill hiking and trail running. So you’ve planned a wild adventure on the scenic – but sometimes grueling – Appalachian Trail. You’re anxious to spend a week chasing sunrises and conquering summits, but there’s only one problem: you live in moderate hilly metro Atlanta, and the closest mountain range is two hours away! How do you prepare your legs and lungs for North Georgia’s heart pumping climbs when you can’t frequent the mountains? It takes thinking outside of the box, but you can do it. Follow this exercise and workout training guide to get mountain ready for uphill hikes and trail running adventures…without actually spending time in the mountains! Stairmill: Perhaps the most helpful piece of mountain training equipment is the stairmill. There are a couple different types of these machines. One resembles a giant set of rotating stairs, while the other looks more like a stationary set of pedals. Both are efficient modes of hiking preparation. I recommend using the stairmill at least 3 times a week to prepare your body for a major hike. Start out at a low level for 10 minutes, then gradually increase the intensity and duration over time. Treadmill: This most basic and non-intimidating piece of cardio equipment can be a great tool to build up mountain endurance. Start with a walk or jog warm up, then set the treadmill to its highest incline setting (preferably 10-15%). Keep the pace low and steady, and maintain as long as you can, eventually working up to at least 20 minutes of continual climbing. Try a spin class: Spinning (indoor cycling) is a wonderful cross training method to develop leg strength. A good spin class will incorporate high-intensity intervals to simulate hill climbs, and the 30-60 minute classes will get you used to moving for longer periods of time. This method requires zero monthly dues, and can easily be done in a parking lot, or even inside your home. Weighted Walking Lunges: Target several muscles groups in your legs at once with weighted walking lunges. Lunging is a great way to develop up and downhill strength by engaging the glutes, quads, hamstrings, and hips! Start by performing walking lunges without weight for a couple weeks until your body gets used to the work. Eventually, add in the hand weights. Beginners will want to start with 5-10 pounds, while those with more experience should grab 10-20 pounds or more. You should hold the weights in each hand, down by your side. Be careful to maintain good posture, and try not to let your lunging knee extend beyond your toes. Try to work up to 2-4 sets of 20 weighted walking lunges. Perform once or twice a week. Jump Rope: Borrow a jump rope from your kids, or snag an inexpensive rope at a dollar store for this stellar exercise. Jumping rope can increase your downhill speed and efficiency by improving your leg turnover. Perform 30-60 second intervals of rapid high knee turnovers. Repeat 8-10 times, resting 10-30 seconds in between rounds. Jump squats – Stand with feet shoulder-width apart. Squat down low, then explode into the air, maintaining good posture. Come back down into the squat position for one completed repetition. Work up to 3-4 sets of 10-20 repetitions. Box jumps – Start by choosing a stable surface to jump up onto. You should be able to jump onto the surface easily with both feet. Give your surface a test jump to make sure it is both steady and attainable for your fitness level. Perform 3-4 sets of 10-12 box jumps, resting 30-60 seconds in between sets. Tip: If you’re already proficient at plyometrics or hiking, you can make the above exercises more challenging by holding weights or wearing a weighted vest. If you live around Atlanta, there are plenty of great hills all around the community to engage your climbing muscles. 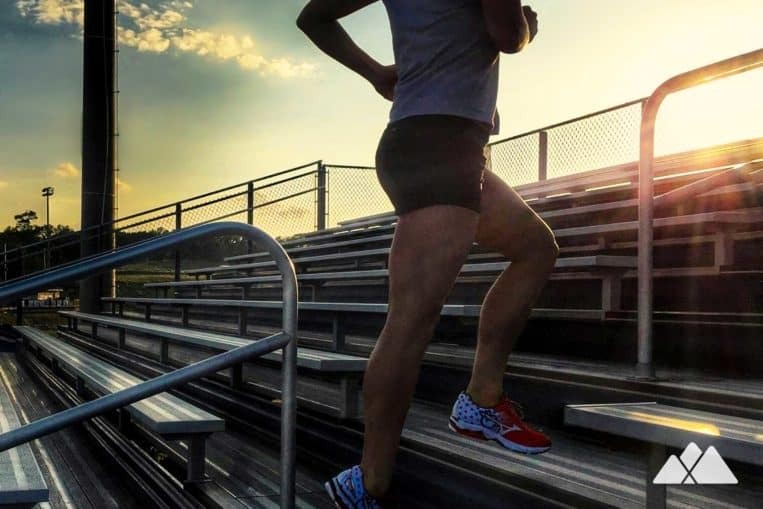 Scope out your local routes for hills with a moderate to steep amount of elevation gain that would take you roughly 1-3 minutes to jog up, or even longer if you can find it. Hill Repeats: Start at the bottom and attempt to run to the top of the hill without stopping. Walk only when you feel you can’t continue running. Once at the top, return to the bottom, and do it all over again. Start with just a couple repeats, then gradually progress to a total of 4-6 repetitions. Hill lunges: This workout works great for longer hills, on a trail like the Stone Mountain Walk-up Trail. While walking up the hill, try to perform as many sets of 10 walking lunges that you can. 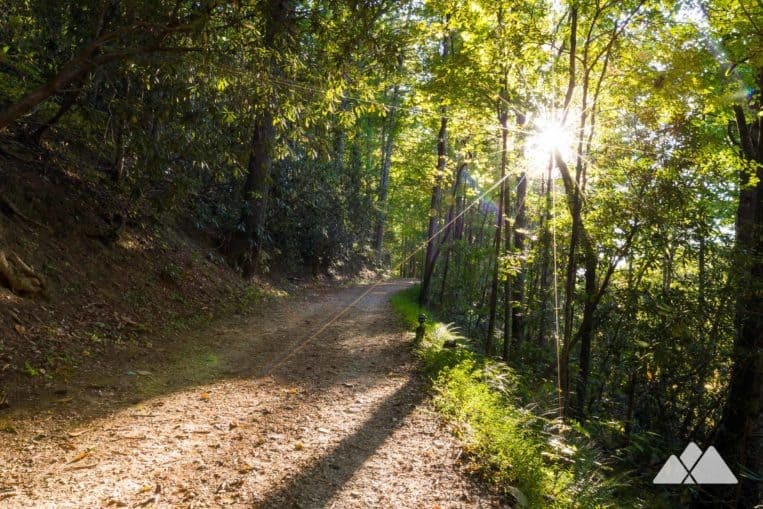 This will give your walk a little more of a burn, and help prepare your legs for the steeper steps found in North Georgia. Weighted vest uphill power walks: If you’re not able or interested in actually running uphills, take a route with less impact. Walk them! You can make your walk more challenging by wearing a weighted vest. This prepares your body to hike with a full backpack, and is especially useful in preparing for multi-day hikes. Climb the local haunts: Though hikes like Stone Mountain, Kennesaw Mountain, and Sawnee Mountain Preserve aren’t as technical as some of the trails in North Georgia, don’t underestimate their ability to take your breath away! Frequent local routes with significant elevation gain as often as you can to build up hiking strength before you tackle the more difficult routes up further North. Find a tall public building and hit the stairwell! Running or walking up several floors at a time will get your heart pumping, and help your body acclimate to continuous vertical gain. If this isn’t challenging enough for you, make it harder! Try setting a time goal to make it to the top, or add weight either by holding hand weights or wearing a weighted vest. Though running down a paved path in the city and hiking up a mountainside are quite different, the endurance and strength your legs and lungs will gain from running will only improve your hiking. Running teaches your body to become efficient, and will strengthen your leg muscles, and cardiac muscles, making your hike a lot easier. You can even sneak in some precious nature time by taking your run to the woods! Check out our beginning trail running guide for tips on beginning a new trail running journey. Remember that while these tips may sound simple, they’re certainly not easy. Expect to have some soreness for a day or two after trying any of these. * Don’t let it get you down, though – your body will thank you for your efforts once you are hiking up mountains with ease! Which soaring summits will your legs help you reach this year? 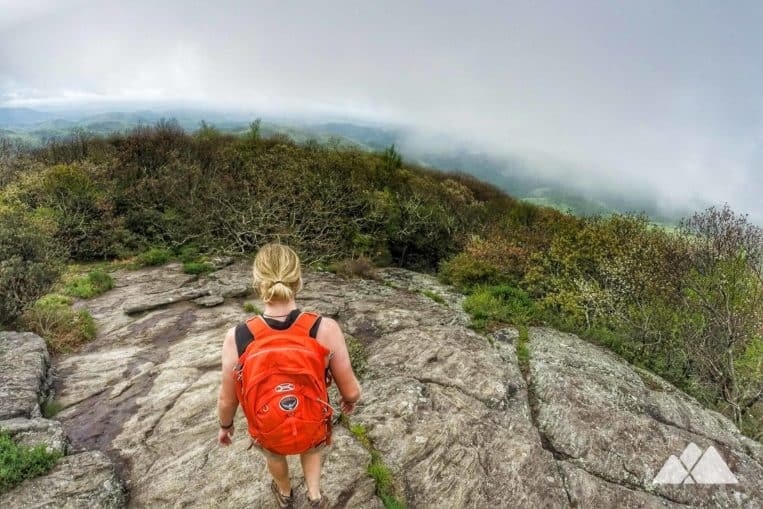 If you need inspiration for your next North Georgia trail adventure, check out our guide to hiking Georgia’s mountains: our top 25 favorite summit trails. And don’t forget to keep your body strong and ready for those lofty climbs! Ashley Walsh is a fun-loving ultramarathon runner addicted to playing in the dirt. She was born and raised in Georgia, and is married to her high school sweetheart, who is a total stud. Together with their two kids they have crazy fun making memories outdoors. Ashley blogs about her ultrarunning adventures at AshRuns100s.com, and loves to post about her training on Instagram @AshRuns100s.